#Cubs @benzobrist18 went with the pitch and singled in @DexterFowler 1-0 #Cubs in the 1st. Two-out knock for @benzobrist18 brings Dex around! The #Cubs go as Dex goes and he scores after a lead off double. Let's go. Get those runs early Zo!!!! 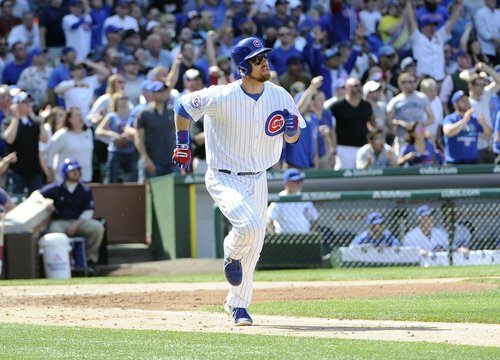 #Cubs Zobrist had been 1-for-8 against #Giants Samardzija before that RBI single. #Cubs out to early lead. 1-0. Hell Yeah! Early lead for the #Cubs big hit by Zobrist! Yes! #Zorilla comes thru with a RBI single to right! #Cubs lead 1-0!! ????????????⚾️??????????????????????????????? ?